Janus Henderson fosters and maintains an environment that values the unique talents and contributions of every individual. It is through the diversity of their people – whose varied skills sets, backgrounds and cultures shape their outlook – which enables them to explore unique avenues and uncover opportunities unseen by others in their industry. They have asked us to identify female candidates for the an HR Rgulatory Initiatives Coordinator opportunity. The Human Resources department is high profile and prides itself on the relationships and influence it has developed across all levels of the firm. The team is set up to provide proactive advice, thus supporting a range of specialist functions in both their day to day and more strategic business needs. The department is formed of smaller specialist teams that work together to provide the best level of expertise in all areas, including Generalist, Recruitment, Learning and Development, Reward and Pensions. 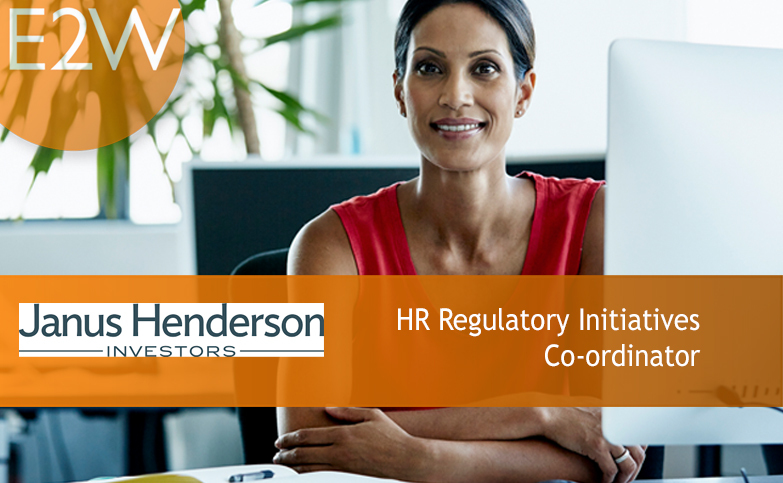 As a member of the HR department, you will be an integral team member working closely across all of the business functions, but particularly with Legal, Risk and Compliance and Company Secretariat teams, to implement initiatives arising from the industry’s complex regulatory landscape. This includes project participation to embed regulatory change within the business as well as managing existing regulatory requirements with people impacts such as SMCR, MIFID II, GDPR. Working closely with the HR Business Partner team, you will be responsible for the day to day management and oversight of all people aspects of SMCR and other regulatory initiatives and will ensure that all regulatory requirements are communicated to relevant colleagues, line managers and other key stakeholders to embed a risk aware culture within the firm.